Student Health services focus on the health and well-being of the students and staff members. The health office supports the process of education and the districts' goal of maximum student success, achievement, and well being through the promotion and maintenance of optimal student health. This is accomplished through direct care, education, referrals, health counseling, and medical case management as needed to support the students in the Indiana Area School District. School health services include procedures established to assess the health status of students; to counsel students, parents and others concerning the findings; to encourage and plan for the correction of identified problems; to assist in the identification and education of special needs students; to prevent and control disease; and to provide emergency care following injury or illness which occur in school. School health services supplement the healthcare parents/guardians provide for their children. These services are not a substitute for family responsibilities but rather are designed to assist parents/guardians in devoting attention to child health, to call attention to health problems which are identified, and to encourage them to access community health agencies and health providers. 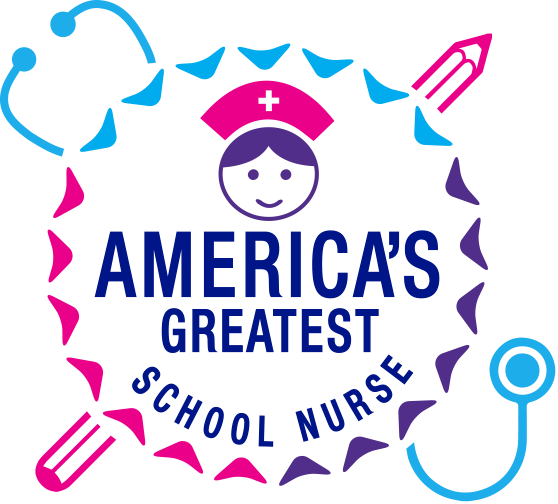 The school nurse is responsible for the implementation of the programs and procedures required by state and local laws, and for educational efforts that support the Indiana Area School District’s goals related to a safe and healthy school environment. Services are provided to district employees for health counseling, emergency care and health programs as needed. When an injured or ill student is sent to the school nurse, care will be provided according to written protocols authorized by the school physician. It is important to keep the school nurse informed if your child develops an allergy or some other health condition that may require special medical attention. Inform the school nurse of any updated immunizations or changes to prescribed medications for your child. School nurses are able to administer a limited number of generic Tylenol, ibuprofen, and antacids under the standing orders our district has with our identified school physician. However, a physician's order and parental permission will be required for all prescription and any other over-the-counter medications that are needed during school hours. Local physicians have been notified of this policy and should have received authorization forms. If your physician does not have the authorization form, please have them contact your child's school nurse. Emergency Care Card - Parents are required to complete and return a signed Emergency Care Card at the beginning of each school year. You can be of great assistance by keeping the school up-to-date on all pertinent information pertaining to your child; for example, phone numbers, addresses, allergies, and medications. Physical and Dental Examinations - Physical examinations are required for students entering the public school for the first time and for sixth and eleventh grade students. Dental examinations are required for students entering the public school for the first time and for third and seventh grade students. Families are encouraged to have their own family doctors and dentists perform these examinations. The school does arrange for school examinations for children who do not have their own doctor or dentist. Students not returning a PRIVATE PHYSICIAN / DENTAL EXAMINATION REPORT by October will automatically be scheduled for an examination by the school district’s physician and dentist. Written permission is required from a parent or guardian prior to the school physical and dental examination. Vision, Hearing, Height, Weight, and Scoliosis Screenings - The school nurses administer an annual vision test in all grades. Hearing screenings are also given in Grades K, 1, 2, 3, 7, and 11. All students are weighed and their height measured annually. Body mass index will be calculated for students in kindergarten through 12th grade. Scoliosis screening is performed on all 6th and 7th grade students who have not had this examination completed by a physician within the last year. School Health Record - A complete Health Record is kept up to date for students. Special information concerning the student’s physical/emotional condition should be shared with the school nurse in the best interest of the child. All records are confidential and are only used for professional reasons as they pertain to the individual student on a need to know basis. Prescribed Medication - The Indiana Area School District recognizes the need for medication to be provided to students when prescribed by a licensed physician. To avoid any possible misinterpretations of this need, please follow the detailed provisions that are listed in the Attendance, Behavioral Guidelines, and Discipline Policy booklet. Insurance Program - The Indiana Area School District does not carry medical insurance on students but does provide parents with an opportunity to purchase a Primary Excess group accident insurance plan. This plan provides coverage for travel to and from school as well as coverage for accidents while participating in intramural sports and physical education classes. Accidental dental coverage and twenty-four-hour coverage are also available options. Specific details concerning the coverage and cost are sent home with students at the beginning of each school year. Junior High Elevator Policy - Elevator keys are loaned to students when a physical condition makes negotiating the stairs a true hardship. Two forms must be completed in order for a student to have access to an elevator key.